SJCAM has become one of the biggest players in the action camera market thanks to devices like the SJ5000X Elite and SJ6 Legend. And now it's come up with a product targeting a different audience. 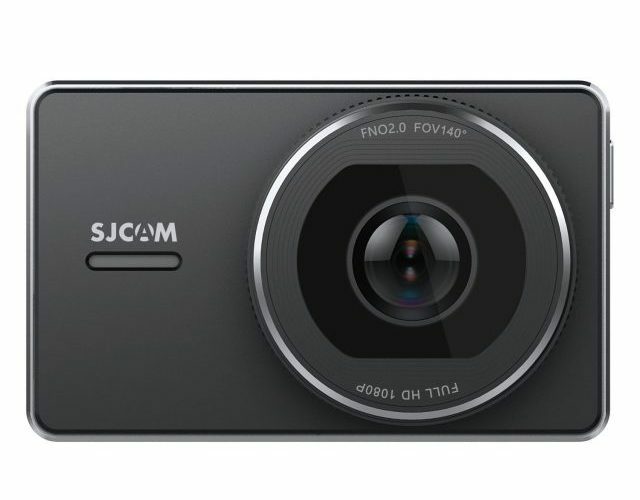 The SJDASH is SJCAM's first dash cam and, just like the other devices in the company's range, it is designed to appeal to consumers looking for a good balance between quality and price. Question is, how does it perform? I've tested it to find out. The SJDASH comes with everything you need to set it up in your car. 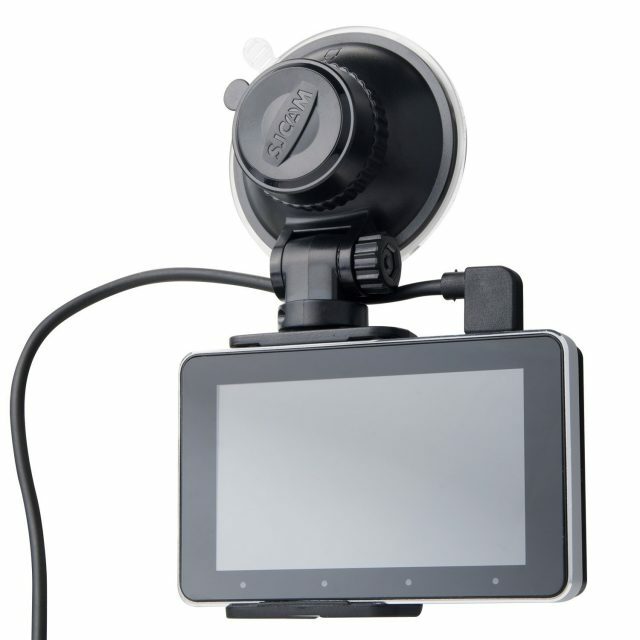 The package includes the camera, a windshield mount, a long USB cable and a charger with two USB ports -- one to connect the dash cam and the other so you can, for instance, charge your smartphone. However, there are no clips provided so you can route the cable along the edges of the windshield. Even though this is only SJCAM's first dash cam, it is well thought out. It powers on automatically and starts recording right away. So, when you plug it in, you are ready to go without having to worry about pressing any buttons. It has a 3.0-inch display on the back, so you can see what the SJDASH is recording, how the videos are framed, and access the settings menu. To control it, you have four capacitive buttons below the screen and a power button on the side. The menu should feel familiar to those who have used SJCAM devices before, but it is also easy to follow for new users as well. There is not a whole lot that needs to be changed out of the box, save, perhaps, for the option to record audio from inside the car. As I have said in previous dash cam reviews, this is something that I prefer to be disabled. However, it can come in handy if you get into an argument with a fellow driver or a pedestrian or want to record a conversation with the police. Because it uses a USB connection, you can, if you want, power it from an external battery when you need to record something outside of your car. It is not designed to be used in such a way, but it will work fine as long as you power it from a 5V 2A source. The SJDASH has Wi-Fi, so you can connect to it using your smartphone. There is a dedicated app available for Android and iOS. It lets you change settings and watch videos, among other things. The SJDASH features an NTK96658 chipset, a 2MP sensor and an f/2.0 lens. The dash cam records video at 1080p, out of the box, and there is no option to switch to a different resolution. This is the same as on other dash cams I have used. The bitrate for the videos is 15Mbps, which means that it will use around 6.6GB for an hour of video. Since the dash cam is configured to run in a loop, it will automatically erase older videos as the microSD cards get full, however, so you do not have to worry about running out of space. I have used a 32GB Samsung Evo Plus microSD with it and it worked flawlessly. SJCAM says that you can go up to 64GB, though I suspect it will accept bigger cards just fine as well. So, what is the video quality like? I have tested the SJDASH in different conditions -- during the day, at night, around sundown, in the city and on faster roads -- and it has performed well overall. As you might expect, it works best when there is sufficient light. At night, the quality suffers a bit. The video samples that you see below have been uploaded to YouTube untouched. However, their quality may not reflect that of the original videos, as YouTube applies various algorithms when it processes the uploaded files. SJCAM sets a high bar when it comes to support. Its products get frequent firmware updates based on my experience, and the SJDASH is likely to be no different. At the time of writing this article, there no firmware updates available to download from the company's website. The SJDASH is a solid dash cam that offers good video quality and is reasonably priced, being available for $79.99 on Amazon.